You are at Home Eatery Critique Vegans rejoice, you can get delicious vegan doughnuts in Milton now!! As more and more people are becoming vegetarian or vegan, sometimes it can be hard to find products that fit their new lifestyle, or worst, they find the product but it is nothing compared to the original non vegetarian/vegan version! I love food and for me to think that people might miss out on delicious items because they choose to go vegetarian or vegan really bums me out! 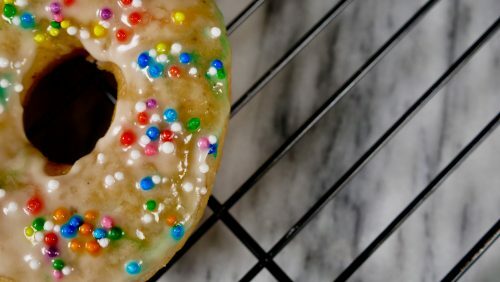 Even though I am not a vegan myself, some of my friends and readers are vegan so when I heard about a brand new business selling vegan doughnuts in my home town of Milton, I contacted owner Nikki right away to find out more! Nikki became a vegetarian in 2014 because she loves animals. After a few more years, she became fully vegan in 2016 since the environment and animal welfare are really important to her. She dreamed of starting a full vegan restaurant but running a full restaurant is hard work and Nikki didn’t have too much experience running a full restaurant ! (I speak from experience from just managing restaurants! The hours are long and you pretty much have to live and breath it for it to be successful).Nikki realized that running a full restaurant might be a little out of reach at the moment. 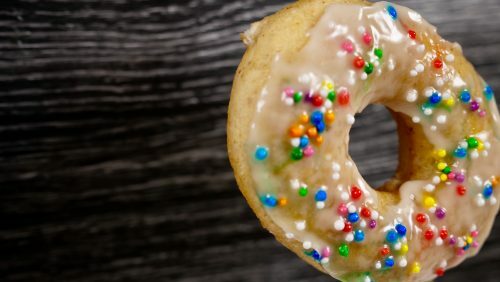 Instead, she switched her focus and decided to focus on one thing first that she’s really good at, and grow from there, and that my friends is the vegan doughnut. We have really limited vegan options in Milton so there are lots of demand for it. In fact, after one bite, people all over the west GTA are ordering them by the dozens through her website. Currently, you can order these delicious vegan doughnuts online or grab them at Dar Nabati in Oakville. I tried the Chocolate Dipped, Vanilla Sprinkles and the Boston Dream. The verdict, if you didn’t tell me these were vegan, I would of never known! They tasted just as delicious as any gourmet doughnuts you can get these days. 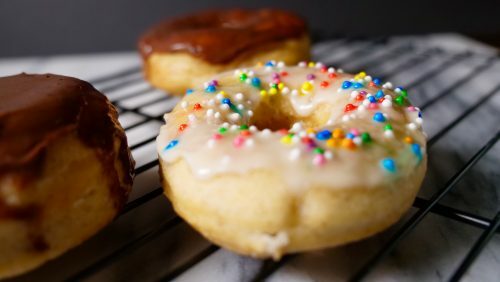 The doughnut was just the right balance of chewy and fluffiness and even though doughnuts are a sweet treat, I didn’t find them overpowering in the sweet department. I also liked that the frosting was melting when I was photographing them. I know this might sound weird but it just shows that the ingredients are real and not full of preservatives. If you took a picture of a typical Tim Horton’s doughnut, they will probably look exactly the same under the hot lights, which in my opinion, is not something to brag about. 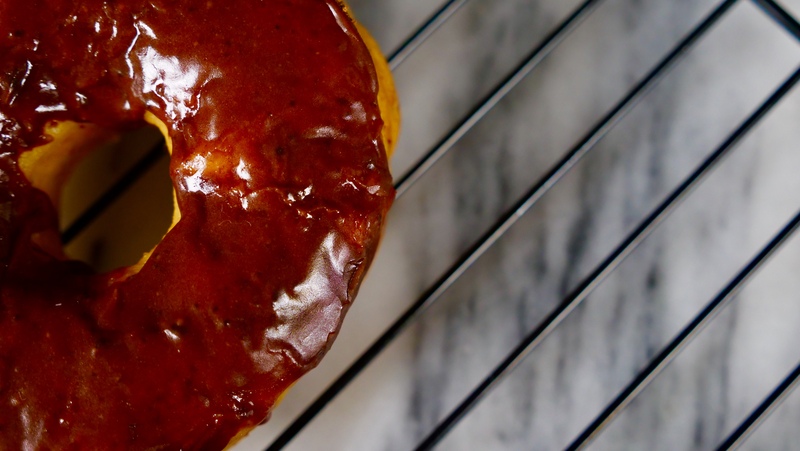 All of Nikki’s Doughnuts are made with locally sourced and high quality ingredients. She makes every single doughnut by hand to ensure the highest quality. Her goal is to make your taste-buds happy! Nikki is really hoping to open a store front selling her vegan treats in Downtown Milton next year so keep your eyes out for an announcement in the near future. 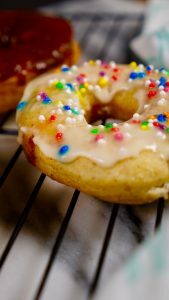 Curious to try Nikki’s amazing vegan doughnuts? Order them today on her website or stop by Dar Nabati in Oakville. If you have tried them already, which one is your favourite flavour? Comment below!